Algeria’s state-run oil company, Sonatrach, has priced its April-loading cargoes of Saharan blend at flat to Dated Brent compared to 30 cents above Brent for March cargoes. Energy accounts for over 90% of the country’s exports and a third of the government’s revenue It produced a bit over 1 million barrels of crude oil a day in 2018. By contrast, the United States pumps over 11 million barrels daily. 60% of goes to Europe, mainly France and Britain. Algeria exports about 2 trillion cubic feet of natural gas per year, with over 80% of that going to Europe. Italy and Spain are the biggest destinations. Even if Bouteflika quits, there is no clear long-term successor. The leader of Algeria’s ruling coalition partner RND party, Ahmed Ouyahia, urged President Abdelaziz Bouteflika to resign, the group said on March 27. FLN interim leader Moab Bouchareb told a meeting of party leaders that the party “supports the popular movement.” But he also appeared to support Bouteflika’s “roadmap” for political reforms. Algeria’s Ennahar newspaper quoted sources close to the Algerian Presidential Alliance as saying that Bouteflika plans to complete the last few days of his term then leave office on 28 April. Ali Haddad, 53, is the CEO of ETRHB Haddad Group,He owes his success to public sector orders but his influence today extends to the highest level in the Algerian state and all economic sectors. 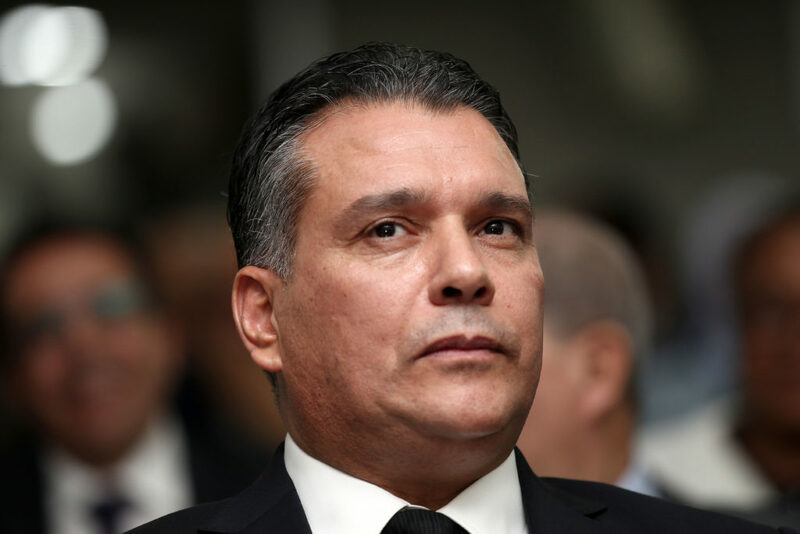 “He’s illegally extending a fourth term and staying until the end of the year, and we don’t want that.” The prime minister, Ahmed Ouyahia, resigned and was replaced by Noureddine Bedoui. Protected by Saïd Bouteflika, the brother of the Algerian president, who had strongly helped to appoint him in September 2015 in place of General Mohamed Mediène, known as “Toufik”, General Athmane Tartag, known as “Bashir” is now closer to the door. “Talks are underway, says a familiar of the seraglio, to find him a successor”. 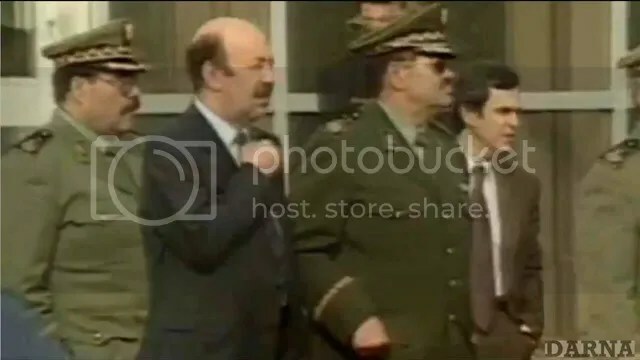 Bouteflika arrived at Boufarik military airport, about 20 miles south of the capital, and was shown in video by private television station Ennahar in a fast-moving convoy heading toward the Algiers suburb of Zeralda. He could be seen inside a car slightly bent over and with a cap on his head. Bouteflika resides in Zeralda, not in the presidential palace in the capital. Landing in #Geneva today… #Bouteflika back to #Algeria soon? In the clearest indication yet that the generals sympathize with tens of thousands of Algerians who want Bouteflika to step down, the chief of staff said the military and the people had a united vision of the future, state TV reported. Lieutenant General Gaed Salah did not mention the protests. TUNIS, March 8 (Reuters) – Algerian state news agency APS said on March 8 2019 protesters in the capital and other parts of the country had demanded “regime change”. The agency had in previous coverage said the protesters wanted “political change”. The ailing 82-year-old Abdelaziz Bouteflika has been in Switzerland since late February for medical reasons, No opposition figure has so far won enough popular support to take him on. The ruling National Liberation Front (FLN) has ruled the North African nation since gaining independence from France in 1962 after a bloody seven-year war. “Le pouvoir” (the power), as many Algerians have come to describe those who run the country, has been centred around the party, some powerful generals and prominent businessmen. Mr Bouteflika’s younger brother Said, 61, is the one holding sway in the presidency at the moment – controlling access to the president. The other important figure is Gen Ahmed Gaid Salah, the army chief of staff, who has centralised a great deal of power around him. Saïd Bouteflika, 81-year-old president’s brother, whom many accuse of staging a de facto coup, wresting control of the government, and ruling in his name. The president, who turns 82 next week, will travel to Switzerland on Sunday for medical checks. DUBAI (Reuters) – Algeria’s president Abdelaziz Bouteflika said on February 10 2019 he was planning to run in April’s presidential elections, the state news agency APS reported. 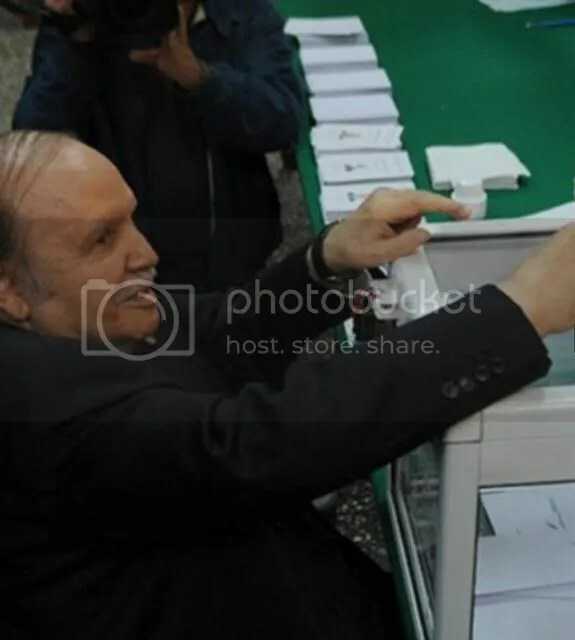 National Liberation Front chief Djamel Ould Abbes said on October 28 Algerian president Abdelaziz Bouteflika, who has been confined to a wheelchair since suffering a stroke in 2013, will be the party’s candidate in the vote set for April 2019 . The Western official said that the airstrikes on the morning of February 19 were focused on Mr. Chouchane and did not represent the start of major new American war in a Muslim country. They were carried out by Air Force F-15E jets that took off from a base in Lakenheath, England. Abdelaziz Bouteflika’s brother Said is actually in charge of the Algerian regime and cementing support for his own presidential ambitions. There’s been a purge of senior army officers and a shake-up of the intelligence agencies. The country is moving more toward democracy, though that remains on the theoretical level. The steps are probably more a way of maintaining the status quo without risking upsetting the people. The succession is going to happen behind closed doors, and both the military and the political establishment will have a consensus on the candidate. It is not in anyone’s interest to have a destabilized Algeria especially in the current geopolitical context. Algeria relies heavily on its oil and gas sales, which account for 95 percent of exports and 60 percent of the state budget. Despite the slump in global oil prices, the large North African state still has more than $130 billion in reserves it says will help cushion it from the fallout. It may also be a final purge in a struggle for influence among the military intelligence and civilian old guard, widely seen as rival factions since the uprising against French colonial rule in the late 1950s. Family members and base personnel watch live musical performances at Electric Avenue’s Open Mic Jam Night at Royal Air Force Lakenheath, England, June 17, 2015. The event gives personnel from around base an opportunity to collaborate and network with other musicians. 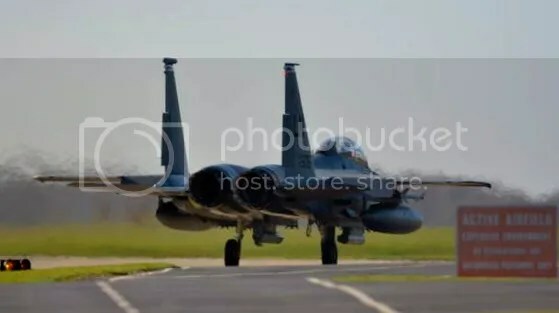 US F-15 aircraft took off from their Suffolk base in the UK, which hosts USAF’s [48th Fighter Wing ] Liberty Wing’s three F-15 fighter squadrons, to undertake the targeted killing of the Mokhtar Belmokhtar in Libya. Belmokhtar apparently survived the bombings, but several fighters from Ansar al Sharia were killed. Ansar al Sharia and the Ajdabiya Shura Council (ASC), a coalition of groups, both of which implicitly denied that Belmokhtar had been killed. Ansar al Sharia and the ASC listed the “martyrs” killed in the US airstrikes, leaving Belmokhtar off the list and saying that no one else had perished. Algeria’s In Amenas gas field where at least 38 civilians and 29 militants were killed during the 2013 siege. Ansar al-Sharia named seven people it said were killed in the strike in the eastern Libyan city of Ajdabiya. U.S. used guided bombs, along with spotter drones:Pentagon spokesman Colonel Steve Warren. President Barack Obama had approved putting Belmoktar’s name on the Defense Department’s “kill capture” list after he was indicted back in 2013 in the death of the three Americans in the gas plant attack, but Obama needed to be consulted again to sign off on this strike. “It had been approved quite a while ago,” the senior administration official said. “You delegate authority under certain criteria. If the criteria changes—different location or number of people on target, then it goes back to the boss and he makes decision on whether to accept it. It was rapid,” approved within hours of it reaching the White House. Two F-15 fighter jets dropped multiple 500-pound bombs on a hardened structure in the center of a compound. U.S. aerial intelligence assets were tracking Belmokhtar’s movements at the time of the raid but the outcome of the operation was still being assessed. The initial indication was that Belmokhtar had been killed, the U.S. officials said, but they still lacked an absolute confirmation. “The strike carried out by U.S. forces was on a farm in the industrial district while Belmokhtar was holding a meeting with other militant leaders,” said a Libya military source. “The Libyan government in the east of Libya confirms that the US fighter jets conducted air strikes last night in a mission which resulted in the death of the terrorist Belmokhtar,” a spokesman said. Earlier, the Department of Defense said the US military conducted a counter-terrorism strike against an al-Qaida-associated target in Libya on Saturday night, June 13. Belmokhtar aka Khaled Abou El Abbas or Laaoua, was the target of the strike n Ajdabiya city near Benghazi,by at least one American warplane, but damage assessment was incomplete. [June 15] He was targeted by two F-15 aircraft. He is charged by the US with leading the deadly attack on the in-Amenas gas plant in Algeria in 2013, At least 38 civilians had been killed during the course of the four-day siege, and 29 militants. Nearly 700 Algerians and 100 other foreigners survived. Five people were missing. With seven of the foreign dead unidentified, forensic teams from the UK, US and Norway arrived to help identify remains over the course of this week. Japan emerged with the highest death toll of any country. With 10 dead. Algeria’s army has found the body of French hiker Hervé Gourdel, Algerian media said on January 15, nearly four months after he was taken hostage and beheaded by Islamist militants. His body was found buried without the head in Akbil, the town where he was abducted. The Algerian army, in an ambush near Boumerdes, 50km east of Algiers, has killed three members of the Islamist group that beheaded French tourist Hervé Gourdel in September, the army said December 22, including the leader of Jund al-Khilafa, which has sworn allegiance to the Islamic State group. The body of militant leader Abdelmalek Gouri, alias Abou Souleiman Khaled, émir of Daesh in Algérie was positively identified at the end of an operation “that allowed us to eliminate three terrorists” in the town of Isser, the army said in a statement. The commando who led this ultra operation secret, has infiltrated the inner circle of GIM to monitor the slightest movements. [Bing translation]To dislodge Abdelmalek GIM, alias Abu Suleiman Khaled, emir of Daesh in Algeria, it took a meticulous fieldwork and a perfect use of information. A task force of the DRS, to be called the GIM section, is responsible for listing all the places frequented this bloodthirsty. This team worked in full cooperation with the PNA forces. Everything happened last week when Abdelmalek GIM was to go to Si Mustapha in the wilaya of Boumerdes on a secret mission and found it as a subterfuge to visit his parents for not associate his close lieutenants. These who were for weeks in contact with the DRS team immediately sold the wick. Is that his staff did not appear to share the criminal tendencies of GIM and did not approve its orientations, nor its subcontractor for the EIS also known as Daesh. 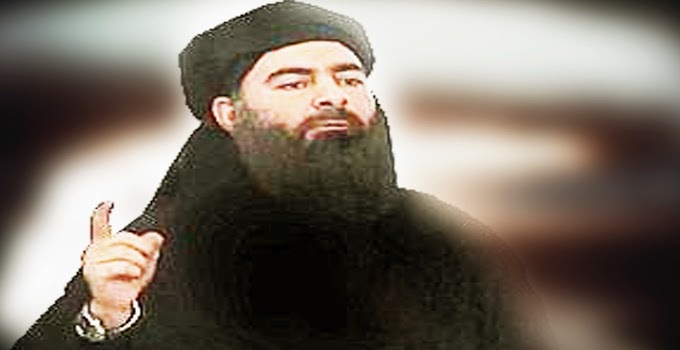 It is this gap that has engulfed the team of intelligence and undercover so the first circle of the emir of Daesh in Algeria. And so the information of the displacement of the emir in Boumerdès was disclosed. The DRS commando who led this secret ultra operation, took care to warn his parental home, but not only. All places usually frequented by this alleged emir, were under surveillance and Sentinel had been installed nearby. A true work of professionals. Highly effective when it comes to searching intelligence, the new has not fallen in deaf ears. Passed after audit, which only intelligence services are aware of the procedures and means, the new was to allow an end to neutralize this criminal, extremely right of the alleged leader of Al Qaîda in the Islamic Maghreb, Abdelmalek Droukdel. Mobilized commando then draws an ambush, the perimeter identifying the area of domicile of his parents was hermetically sealed off. The Algerian army has confirmed the liquidation yesterday, in a military operation in the town of Isser (Boumerdes) by Abdelmalek GIM, leader of the Jund Al-Khilafa group, who was kidnapped and beheaded the french national Hervé Giordano. 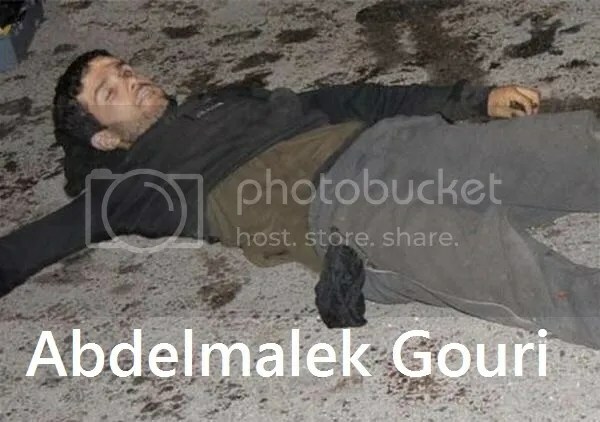 Agency Algeria Press Service released images of the body of the killed terrorist on the evening of Monday, December 22 “across a mousetrap tense following information and a spinning a dangerous circulating terrorist group on Board of a vehicle in the town of Isser”. The authorities had identified the perpetrator of the beheading of Herve Gourdel . A man of fifty years, from Bab El Oued, named Kherza Bashir, known to have participated in numerous deadly terrorist actions. He is considered the “mufti” (interpreter of Islamic law) of the Jund al Khilafah group. The Algerian army said October 9 it had found the kidnappers’ camp. In the the camp were found mortar shells, food, medicines, shoes, utensils kitchen and a mobile phone containing pictures of armed Islamists. The amount of personal effects suggests that jihadists fled precipitately when they realized that the soldiers were approaching. In an ambush laid October 2 at 8 p.m. by Army members, operating in Guezzam/6th Military Region in the area of Tiririne near Algeria-Niger borders, five criminals were killed and four others injured , including one of Libyan nationality, The militants were attempting to sneak into Algeria through the southern town of In Guezzam near the Niger border. During this operation, two 4X4 vehicles, used by the criminals, were destroyed. Top of the wanted list is Abdelmalik Gouri, the 37-year-old leader of Jund al-Khilafa (Soldiers of the Caliphate), the group that broke away from Al-Qaida in the Islamic Maghreb to swear allegiance to the Islamic State armed group fighting in Iraq and Syria. Jund al-Khilafa claimed responsibility for Gourdel’s kidnapping and posted a video of his murder online. Algerian security forces are also searching for Gouri’s right-hand man, Abdallak Abou Meriem. Two more former Aqim members, Abdallak Othman el-Assimi and Abou Hayane can be identified in the video. Abdelmalek Gouri, also known as Khalid Abu Suleiman, has split with al Qaeda’s North African wing to support Islamic State, whose battlefield successes and declaration of a “Caliphate” in Iraq and Syria have stolen al Qaeda’s thunder. “It seems the mother organisation Al Qaeda in the Islamic Maghreb has taken a wrong turn, we can no longer follow their guidance,” his Caliphate Soldiers announced. For years, men like Gouri have held out in the inaccessible forested mountains east of Algiers, known during GIA’s years of blood in the 1990s as the “Triangle of Death”, refusing government amnesty offers and living off the kidnapping of businessmen for ransom. By executing a Westerner under the “new shield” of Islamic State, Gouri was challenging al Qaeda’s ageing leadership under Ayman al-Zawahri, and specifically the AQIM chief Abdelmalek Droukdel, for recruits and support. Sonatrach has a new leader as Algerian president Abdelaziz Bouteflika fired Abdelhamid Zerguine. Bouteflika relieved Zerguine of his duties and replaced him with his deputy Said Sahnoune. State media reported that the Sonatrach chief was relieved of his duties on the recommendation of Energy Minister Youssef Yousfi. Sahnoune will assume the top spot at the state-run company on an interim basis. Algerian President Abdelaziz Bouteflika on May 5th unveiled the first cabinet of his fourth term in office, leaving key positions unchanged. Rachid Tlemcani, a political analyst, believes the new government is not as fresh as it may appear. “The positions of power and the key posts are still held by the president’s clan” . President Abdelaziz Bouteflika won a fourth term in office with 81.53 percent of the vote. Bouteflika’s main rival, Ali Benflis, received 12.18 percent in an election which saw 51.78 percent of Algerians cast their ballots. Prime Minister Abdelmalek Sellal, reappointed April 28th, has tried in vain to persuade opposition parties to join the new cabinet. The oldest opposition party, the Socialist Forces Front (FFS), was reportedly offered two ministerial portfolios but declined Bouteflika’s offer to be part of the new government. So did the Rally for Culture and Democracy (RCD), the Movement for a Peaceful Society (MSP) and the Workers’ Party (PT). As a result, half of the old government was reappointed. Key ministers kept their jobs in the new 34-member cabinet, which includes seven women and is dominated by technocrats. Ramtane Lamamra, a career diplomat, is still foreign minister. Tayeb Belaiz remains interior minister, Tayeb Louh still heads up the justice portfolio, Youcef Yousfi goes back to the energy ministry and General Ahmed Gaid Salah is deputy defence minister, with the president occupying the post of minister. Twelve new ministers have joined the cabinet, however. Some replaced figures who set records for longevity in government, like Khalida Toumi. She lost her job as culture minister to another woman, Nadia Labidi, who is a film-maker and teaches at the University of Algiers. Toumi will replace the writer Yasmina Khadra at the Algerian Cultural Centre in Paris. Karim Djoudi lost his job as finance minister, officially for health reasons. He was replaced by Mohamed Djellab, the former minister-delegate for the budget. Other departures include Cherif Abbas, who was the veterans’ minister; Bouabdallah Ghlamallah, who was religious affairs minister; and Mohamed Khodri from the FLN, who served as minister for relations with parliament. New arrivals include Education Minister Nouria Benghebrit, an academic who previously headed an anthropology research centre. The appointment of 35-year-old Aicha Tagabou to the post of minister-delegate for tourism symbolises a move towards a younger team. Algeria’s ailing president Abdelaziz Bouteflika voted on April 17 in a presidential election. The sight of him casting his ballot from a wheelchair is likely to infuriate his critics, who say the 77-year-old leader is unfit to run for a fourth term because of his health problems. Bouteflika has rarely been seen in public since he suffered a stroke last year. He is widely expected to win despite his frail health and rare public appearances. Backed by the powerful National Liberation Front, or FLN, which has dominated Algerian politics since the country’s 1962 independence from France, few believe Mr Bouteflika could lose the election. But just in case, the president’s allies have so stacked the decks in his favour that most credible opposition parties say they will not field candidates and called instead for a boycott. Several issued a statement on Monday calling the April 17 elections a “farce whose outcome is already known in the absence of the conditions of fairness and neutrality”. Algeria’s President Abdelaziz Bouteflika, 76, will run for re-election: his candidature was announced by Prime Minister Abdelmalek Sellal. “Even if he has not completely recovered physically, I can assure you he is in possession of all his mental and intellectual faculties,” he said. Algeria has the largest land area of any African state, is rich in oil and gas, and under President Bouteflika has been an ally of the US. Despite regular elections: power in Algeria remains in the hands of a small group of military and intelligence leaders. Ahmed Benbitour, 68, was nominated for the next presidential election in 2014. Accusations levelled against DRS director Mohamed “Tewfik” Mediene , one of the hardline military leaders who cancelled a 1992 election which Islamists were poised to win, sparking a bloody decade-long civil war, has exposed opposition from the intelligence chief to Bouteflika’s re-election. 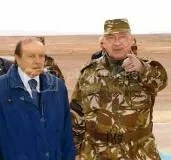 Now ailing Algerian President Abdelaziz Bouteflika February 11 has strongly backed the army following demands from National Liberation Front (FLN) leader Amar Saidani that the veteran military intelligence chief quit over alleged security failings. Bouteflika, 76 and in power for 15 years, has yet to say if his health will permit him to stand for a fourth term. Amar Saidani, secretary general of Bouteflika’s National Liberation Front (FLN), a vocal supporter of President Abdelaziz Bouteflika seeking a fourth term in April elections, called on General Mohamed “Tewfik” Mediene, powerful intelligence chief to resign . Public criticism by senior Algerian officials of the man at the head of the intelligence agency since 1990 is very rare. Saidani was controversially elected FLN secretary general in August last year, amid strong opposition from some within the ruling party, just a month before Bouteflika was reportedly curtailed the powers of the DRS. Fourteen parties, political and civil society personalities together in a new initiative, called November 26 to reject the revision of the Constitution and the establishment of an independent electoral commission. The government commonly answers the rioting — over electricity, jobs and other services usually in outlying suburbs or other cities — through payouts to public sector workers, subsidies, and programs to support entrepreneurs and small businesses. When the unemployed recently began organizing in the south, the government offered some of the angry young men jobs with the police. The government similarly manages the news media and political scene — allowing multiparty politics but manipulating the opposition, co-opting some and undermining others. Ahmed Benbitour, a leading figure of the opposition group, explained. If the election results in the election of a President who will change to a democratic system, we will create a political party. Otherwise, we innovate. But we do not abdicate because our country can not continue to live in hope constantly deferred. Recovery in the hands of our destiny can not be postponed any longer. Simply have the courage of our dreams and have faith in ourselves. Prime Minister from December 1999 to August 2000, Minister for the Treasury in 1992, Energy 1993 and Finance from 1994 to 1996, Benbitour Ahmed, 68, was nominated for the next presidential election in 2014. Economist, from Ghardaia, who was educated in Algeria and Canada, wrote a book in 2006 Fluoroscopy Algerian governance. Algeria’s ailing President Abdelaziz Bouteflika will run for a fourth term. Bouteflika has taken a series of measures including a shakeup of the country’s Department of Intelligence and Security (DRS), a strong government organ suspected of running the country behind the scenes. Allies will back Algerian President Abdelaziz Bouteflika should he seek re-election next year or extend his current term by two years through a constitutional amendment. Bouteflika came to power in 1999 after he helped to end the country’s civil war. He is one of the few remaining veterans of the war of independence against France. He a cabinet meeting on September 29 for the first time this year after suffering what his doctors described as a mini-stroke. Algeria’s President Abdelaziz Bouteflika announced Sep. 11 ten new ministers, including for the defense and interior posts, all close allies of the president. Bouteflika took the unprecedented decision to usurp key powers from the feared and respected military spy agency — the Department of Intelligence and Security (DRS). The president has now taken over control of the judicial police by putting it under the control of the head of the army, Ahmed Gaid Salah, another key associate. The shuffle, overseen by Bouteflika’s brother, Said, was part of “a drive to curb the powers of the country’s security establishment” headed by Mediene. It was apparently triggered by international arrest warrants on corruption charges issued Aug. 10 by security authorities, headed by Mediene, against two of his closest political allies — former energy minister Chakib Khelil and, more importantly, Bouteflika’s longtime adviser and friend, Mohamed Reda Hemche. The DRS is said to wield outsized influence in Algerian politics. And in the past year, it seemed as though the organization, and its notoriously secretive leader, Gen. Mohamed Mediene, had grown tired of Bouteflika’s now 14-year rule. Bouteflika, after three five-year terms, may not run again in April. He wants his younger brother Said to succeed him. Mediene will do all in his power to prevent that and to install his own man as president. Mediene has pursued a campaign against Bouteflika’s allies for several years, particularly in the state-run oil company Sonatrach, largely conducted under the umbrella of rooting out official corruption. DRS judicial police opened up a number of corruption investigations, including several involving the state-owned oil and gas company, Sonatrach. The inquiries forced the resignation of former energy minister and Bouteflika ally, Chekib Khelil. 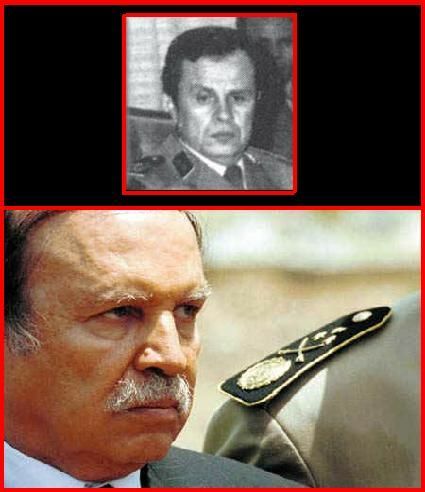 When Bouteflika won [the presidency] in 1999, in 2004, and 2008, he won because of assistance from the intelligence institution, which has been from early on a sort of state within the state. The reshuffle is to make sure the intelligence services will help him as they have in the past. In the case of Sonatrach, the steady dismissal of senior managers linked to Bouteflika has seriously damaged Algeria’s all-important energy industry, which accounts for 98 percent of exports, at a time when it needs to be developing new oil and fields as the older ones are depleted. 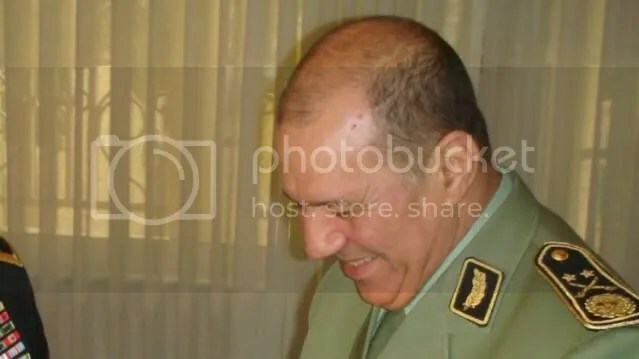 Bouteflika has regained control of the Interior Ministry by installing Tayeb Belaiz, one of his closest associates in the Bouteflika clan’s inner circle. 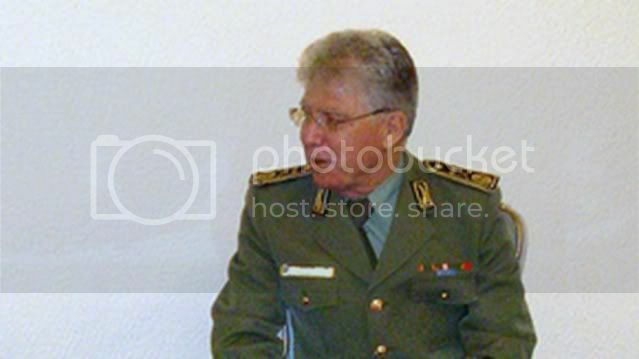 Ahmed Gaid Salah, another longtime Bouteflika ally, who he promoted to chief of the general staff in 2004, was named deputy defense minister. Although Algeria is supposed to be a multiparty democracy with regular elections, power resides, as it has since independence, in the hands of the president and the cabal of generals known throughout Algeria as simply”Le Pouvoir,” the Power. 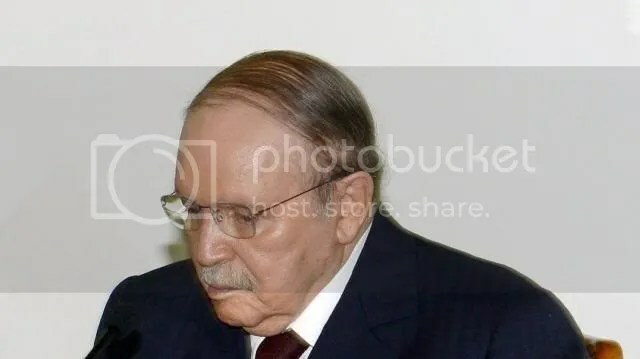 “The prospect of a dynastic succession was not what the DRS had in mind when it gave the green light for Bouteflika third term” in April 2009, al-Jazeera observed recently. Jeremy Keegan of London’s School of Oriental and African studies, observed that Bouteflika twice tried to replace Mediene with his own people. One died in a “road accident.” Mediene got rid of the other by using the DRS to destroy his reputation and his businesses. 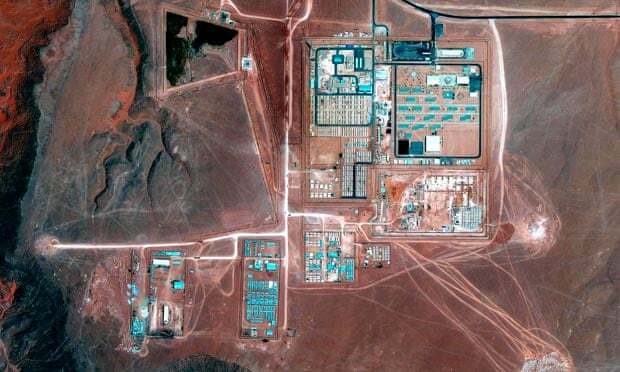 Mediene may have suffered a setback with the January seizure of the In Aminas natural gas complex in the Sahara by jihadists, in which 37 foreign technicians were killed when Algerian Special Forces stormed the facility. Algerian President Abdelaziz Bouteflika headed home from France on July 16, according to an airport source, after a lengthy stint in a Paris hospital which caused concern back home. 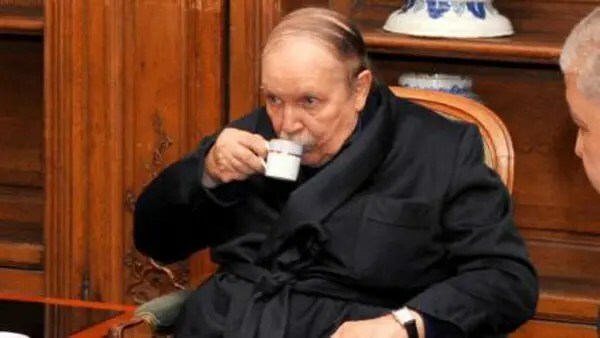 Bouteflika, who reportedly boarded an Algerian presidential jet in a wheelchair at Le Bourget airport near Paris, was admitted to hospital at the end of April after suffering a mini-stroke. Rachid Bougherbal, his doctor in Algeria before he was transferred to Paris, referred questions about Bouteflika’s condition to the prime minister’s office when contacted by AFP, with the latter declining to provide an update. Algerian President Abdelaziz Bouteflika is now in a hospital in Paris. If and when Bouteflika departs, competition for his job could upset a delicate balance of power within the ruling elite. Former Prime Minister Ahmed Benbitour, 67, is the only declared candidate in the presidential election due in less than a year. Others may throw their hats in the ring only when Bouteflika, who took power in 1999, makes his intentions clear. Algeria, dominated for decades by the National Liberation Front (FLN) that led the independence struggle, now has more than 100 smaller political parties, but their leaders are seen as too weak to stand a chance in the presidential race. If Bouteflika proves too incapacitated to finish his term, Senate chairman Abdelkader Bensalah will replace him until elections are held within 60 days, under constitutional rules. President Abdelaziz Bouteflika of Algeria said the country’s state of emergency would be lifted in the “very near future”. Mr Bouteflika made the announcement at a meeting with government ministers in the capital Algiers, according to the country’s state-run media. He said protests would be allowed everywhere in the country except in the capital. .
Public demonstrations are banned in Algeria because of a state of emergency still in place since 1992. National Coordination for Change and Democracy protesters gathered at Algiers’ 1 May Square on Feb 12. They chanted “Bouteflika out!” – in reference to the country’s President Abdelaziz Bouteflika. Some demonstrators waved copies of a newspaper front page with the headline about the ousting of Egyptian President Hosni Mubarak on Friday, Reuters reports. About 30,000 police are reportedly deployed in and around capital, and extra police with water cannons are on stand-by. At least 15 police vans, jeeps and buses were lined up at the square and about the same number on a nearby side-street outside the city’s Mustapha hospital. Small military-style armoured vehicles were also parked at junctions around the city. The march was not backed by the country’s trade unions, nor its banned radical Islamist groups, which still have influence at the grassroots. 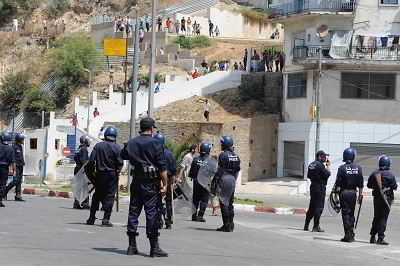 Algeria has seen several protests in recent days, with the last major one on January 22. It was organised by the same group behind today’s action, Rally for Culture and Democracy. It is part of the National Coordination for Change and Democracy, a coalition of civil groups, campaigners and others. This entry was posted in Uncategorized and tagged "Abdelmalek Gouri, Abdallak Abou Meriem, Abdallak Othman el-Assimi, Abdelaziz Bouteflika, Abdelaziz Bouteflika voted, Abdelkader Bensalah, Abdelmalek Sellal, Abou Hayane, Ahcene Tafer, Ahmed Senhadji, Algeria, Algiers, alias Abou Souleiman Khaled, alive, ANP finds camp, Aouloud Hamrouche, Army, émir of Daesh in Algérie, Benbitour Ahmed, body, cabinet, Caliphate Soldiers, dead, DRS, extension of term, f-15, F-15E, fourth term, gas, Gen. Mohamed Mediene, Guezzam, Hervé Gourdel, jihadists fled precipitately, Jund Al Khilafa fi ardh Aldjazaïr, Kherza Bashir, lakenheath, march democracy, Moab Bouchareb, Mohamed Mediene, Mokhtar Belmokhtar, National Coordination for Change and Democracy, niger, Noureddine Chouchane, oil, paris, President, presidential election, purge, Rally for Culture and Democracy, re-election, run, Sabratha, Said Bouteflika, Saidani, tewfik, Toufik, toufiq, U.S.airstrike, wheelchair, wins. Bookmark the permalink.